They are called the Dreamers. They look like sleeping children. They are, in fact, Gods. There are eight elder Gods, four awake, four asleep, by turns. When they sleep, they sleep for eons. The only time the Gods are vulnerable is when the sleepers awake. Knowing this, the Ruler of the Wasteland, ambitious to become a God by destroying Gods, watches and waits, marshalling troops for war. So it is that the coming of the Dreamers passes unnoticed in the Wasteland. But the world is soon out of kilter, it is being dreamed, and the awakening of Gods is no simple transition. The sleeping Gods are stirring. When they wake the battle will begin. There will be trickery and deception. Tribes of humans, creatures of the deep, the sea itself and the earth, the weather and the divinities, all will play their part in the epic struggle against the Ruler of the Wasteland. In their own exquisitely effortless style, David and Leigh Eddings weave a web around the reader of magic, mystery and humour. 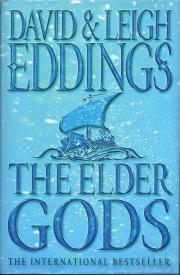 The Elder Gods is a stand-alone novel of mythological proportions, and it is also the first in a new and eagerly anticipated series of four books by the bestselling authors David and Leigh Eddings. 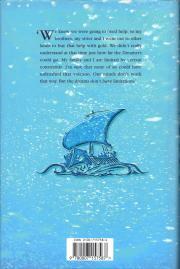 It is a magical, action-packed, totally engaging and characterful novel on the grandest scale.